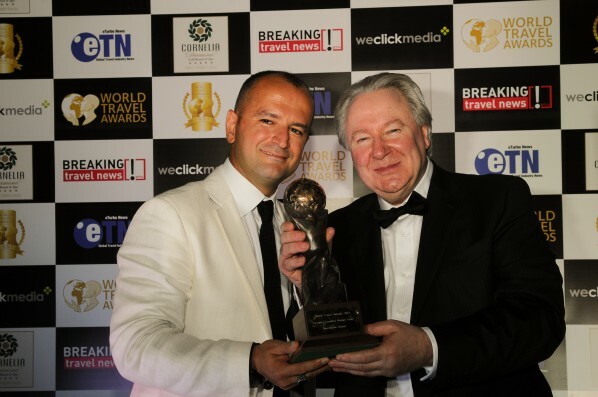 The travel brands which have demonstrated the greatest strength amid ongoing global economic uncertainty have emerged victorious at the World Travel Awards 2011 Europe Gala Ceremony, hosted at Cornelia Diamond Golf Resort & Spa in Antalya, Turkey this evening. Cornelia Diamond Golf Resort & Spa proved the perfect host for the evening’s proceedings, exemplifying the spirit of World Travel Awards to push the boundaries of excellence in travel and tourism. Since opening in 2008, the resort has rapidly established itself as the ultimate place for golf and luxury, amid a beautiful Mediterranean setting. More than 500 organisations across Europe, spanning more than 125 categories, entered the competition for the most influential accolade in travel. Lufthansa was one of the big stars on the night, walking off with the blue riband category “Europe’s Leading Airline”, while Le Bristol Paris was voted “Europe’s Leading Hotel”, InterContinental Hotels & Resorts won “Europe’s Leading Hotel Brand”, Cornelia Diamond Golf Resort & Spa named “Europe’s Leading Luxury Resort” and Dubrovnik Palace Hotel, Conference Centre and Spa picked up “Europe’s Leading Resort”. Turkey in particular enjoyed a large slice of the evening’s honours, reflecting its role as one of the few tourism success stories of the global downturn. Home-grown winners included Istanbul (“Europe’s Leading City Break Destination”); Turkish Ministry of Culture & Tourism (“Europe’s Leading Tourist Board”). Antalya hotels winning top awards included Cornelia Hotels Golf & Spa, Mardan Palace and Adam & Eve Hotels. The industry’s elite – including chief executives of leading travel companies, government ministers, tourist board chiefs – attended the glittering gala event, which was headlined by Turkish pop sensation Aydan Kaya and violin rock supremos, Fuse. The raft of media covering the event included Bloomberg TV, Hürriyet, CNBC and CNN Türk. Graham Cooke, president, World Travel Awards, said: “During times of economic uncertainty world-class brands come into their own, continuing to grow market share whilst competitors flounder. “Turkey in particular has showed its credentials as a world-class tourism brand, demonstrated in the number of top honours won by the nation’s top hotels and travel organisations. The Europe Ceremony marks the second leg of World Travel Awards 2011 Grand Tour. Regional events will follow in Sharm El Sheikh, Egypt (September 16th); Bangkok, Thailand (September 28th) and Montego Bay, Jamaica (October 7th). The winners of these regional events will progress to the Grand Final in Doha, Qatar on November 29th. 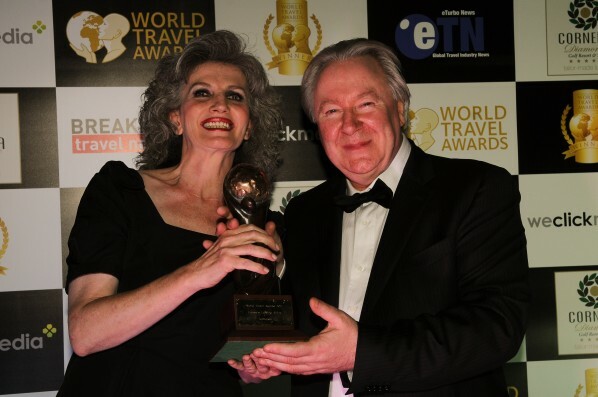 For the full list of World Travel Awards Europe Gala winners visit the website. The event partners were Cornelia Diamond Golf Resort & Spa, BBC World News and WeClickMedia. WTA’s global media partner network includes CNBC Arabiya, National Geographic Traveller, eTurboNews, ABTA magazine, Focus on Travel News, Breaking Travel News, Travel Daily News, Xenios World and ASTA Network magazine. View all images of World Travel Awards 2011 Europe Gala Ceremony here.